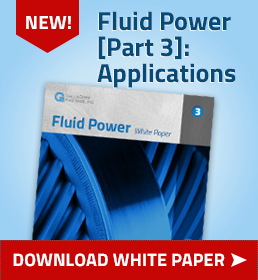 PTFE Archives - Gallagher Fluid Seals, Inc. Facing challenges, head-on is what Vanseal does every day – which is why their customers trust them to deliver tested and proven, material and design solutions that improve the performance of their seals, no matter how tough the environment. 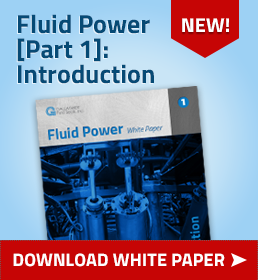 Recently, a customer was having difficulty with a seal failure on a fluid power application. The high-pressure, high-eccentricity seal operates in conditions up to 200,000 pv at 3000 psi and could not exceed maximum shaft deflection of 0.005″. Vanseal works with these types of seal applications frequently and used a Unitized Seal that uses several components to address each of the various sealing challenges. Metal Case – Serves as a carrier for the seal components creating a single unit to install, and thus reducing instances of installation errors caused by multi-piece installations and reducing individually purchased and inventoried items. Sealing systems are tricky and using a stock seal manufactured for typical high-pressure applications may not be enough to absorb high-shaft deflection. Our experienced engineers have in-depth knowledge on how to address these difficult sealing challenges. Along with engineering, we maintain the highest standards in quality testing and manufacturing methods. The original article can be found on Vanseal’s website. Freudenberg-NOK Sealing Technologies has begun supplying innovative, lightweight radial shaft seals to a major Detroit-based vehicle manufacturer for installation on the V6 and V8 engines powering its newest pickup trucks and sport utility vehicles (SUVs). Enter the Freudenberg BlueSeal. The BlueSeal, part of Freudenberg’s award-winning Low Emission Sealing Solution (LESS) portfolio of engine, transmission and E-Mobility product solutions, provides significant weight, friction and installation advantages over traditional radial shaft seals. Under the contract, Freudenberg-NOK will produce more than 2 million BlueSeals annually. Production is expected to increase further to more than 4 million units annually with orders from additional customers. From turbocharged engines and 10-speed transmissions to electrified and electric vehicle systems, the propulsion technologies on display at the 2019 North American International Auto Show (NAIAS) offer evidence that fuel economy, emissions and performance are still top of mind with manufacturers and consumers alike. Freudenberg’s BlueSeal offers customers a way to help achieve better fuel economy and lower emissions in large displacement internal combustion and turbocharged engines. The BlueSeal is 40 percent lighter than conventional radial shaft seals and requires 50 percent less space to install. The BlueSeal is made of a single material – a steel-reinforced Polytetrafluoroethylene (PTFE) – designed to withstand harsh engine fluids while providing an axial space reduction, which allows manufacturers to downsize the engine. The seal has a low-friction Power Optimized Polytetrafluoroethylene (POP®) lip design that insures smaller dissipation loss, reduces the temperature in the contact area between the seal and shaft and performs flawlessly under different engine conditions. The BlueSeal increases durability through its perfect sealing behavior and has a higher resistance to pressure than traditional seal designs. Its R-Tight® technology results in near-zero air leaks during assembly tests, allowing manufacturers to isolate other potential leak paths in the system. Freudenberg is pursuing a dual product development strategy that supports continued development of advanced materials and components for internal combustion powertrain applications while pursuing new technologies that address emerging challenges associated with alternate mobility options like lithium-ion batteries and fuel cells. The BlueSeal, like many of Freudenberg’s LESS products, offers system benefits in both arenas. 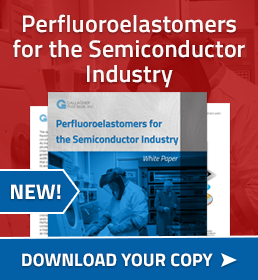 The original article can be found on Freudenberg’s website. A patented lip design and the patented combination of PTFE sealing lip and sliding bearing in the lip seal element provide the new dry running seal “SeccoLip” from EagleBurgmann with particularly high flexibility. These technical features help the lip seal compensate directly and safely radial deflections of the shafts in agitators, mixers and reactors. The sliding bearing tracks the complete lip seal element to the shaft movements. Since the lip and bearing are in one element, the sealing gap between the rotating shaft and the sealing lip remains virtually constant and the seal remains tight over the long term. Compensating elements such as O-ring, expansion washer or metal bellows are not required for reliable operation. The modular seal was specifically designed for the operating conditions in the chemical, pharmaceutical, food industry as well as in water and wastewater technology. One or more sealing elements are combined in different possible arrangements to comply with the requirements. Connections for a supply system are available. Due to the design features, a rolling bearing is not necessary but is optionally available. The cartridge design makes the SeccoLip easy to install and safe to use. It is particularly suitable for a sliding velocity of up to 2 m/s (6 ft/s) and a pressure range of -1 to 6 barg. The seal complies to ATEX, FDA and TA-Luft. How this application fits as a versatile solution. Stem packing is a familiar product. The most common type is braided compression packing. Braided packing is used in a wide range of applications. Depending on the service, construction materials can be as diverse as plants or animal derivatives, mineral fibers or synthetic plastics and even metal. 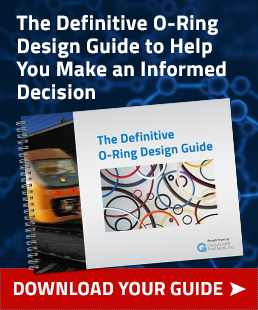 The process of cutting rings from rope packing, inserting them into a stuffing box and torquing them to the right density is common, but it is not always the best choice. Another widely used manufacturing method is die-molding. It is the process of wrapping a material around a mandrel, placing it in a die and preforming it to make a seal. Using these and other manufacturing technologies, packing is found to work in applications as different as aerospace, heavy trucking and power generation. A review of some unusual applications demonstrates the versatility of compression packing as a sealing solution. Compression packing is an ancient technology dating back more than 5,000 years. Boats and ships used a rudder as a steering mechanism. The rudder shaft penetrates the hull of the vessel below the water line, so water can leak into the bilge. Ancient sailors, using the top technology of the day, would take pieces of clothing, sail cloth and rope, cover it with animal fat or wax and stuff it into the gap around the shaft. Eventually, a box was secured around the shaft and a gland, which could be tightened to compress the packing material, was created to improve sealing and longevity. The terms compression packing, stuffing box and gland come from these early sailors. Over time, many improvements in packing construction and materials were made. Packing today can be made of flax, Kevlar, polytetrafluoroethylene (PTFE), graphite or metal. It typically has a square cross-section and is sold in precut rings or in large coils, as shown in Image 1. Synthetic aramid fibers are abrasionresistant and can handle higher temperatures and shaft speeds. PTFE has excellent lubricity and chemical resistance. Graphite coupled with mica or an aramid fiber can stave off the heat generated by a rotating shaft and provide long life in challenging applications. Die-formed compression packings are excellent in terms of sealing performance and reliability and offer a wide range of long-term, low-emission and low maintenance products. See Image 2. Not only are die formed rings easier and quicker to install, but the pre-compression increases the density of each ring and reduces the gland loads necessary to seat and compress multiple rings in the stuffing box. The result is lower friction on the shaft or the spindle, with improved sealing performance and a longer life. Gear motors, pumps and stirring units keep process material in constant motion in the process industry’s production facilities. A large number of shaft seals are used at drive shafts to keep liquids securely within the equipment. But leaks may be more likely to occur if the pressure acting on the seals becomes too great. Freudenberg Sealing Technologies has developed a new rotary seal, the Gerromatic, which has a wave-shaped sealing lip. This increases the maximum amount of pressure that can be applied. The sinusoidal contact path also reduces friction and provides self-cleaning, which extends operating life. In the process industry, including the food and beverage sector, shaft seals used in equipment mostly have a rotation-symmetrical seal lip, which abuts the rotating shaft with a groove-like contact pattern. During wet-running, this can cause the medium to be displaced at the contact surface. The seal then runs in a more or less dry condition, leading to increased friction and higher temperatures. The increased friction increases wear and reduces the efficiency of the equipment. The accompanying rise in temperature is not desirable, especially when the process media are temperature-sensitive. 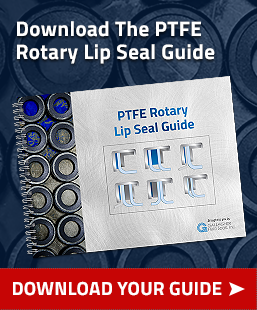 If the seal lip is also exposed to high temperatures at high rotational speeds – for example, due to a process material that applies pressure to the seal lip in a vessel with a stirring unit below it – the lip can fold down on the low-pressure side, which would result in immediate leakage and the seal’s failure. Polytetrafluoroethylene (PTFE) is commonly known as a coating for pans under the DuPont trade name Teflon™. It is also superbly suited as a sealant and is superior to many materials in specific ways. For example, it can be used at low and high temperatures and in combination with gasoline, solvents, water and other polar media such as lyes, standard lubricants and brake fluid. PTFE’s chemical resistance is nearly universal. In 1938, while working for DuPont, American chemist Roy Plunkett was looking for a substitute for the fluorohydrocarbon Freon, which his employer was only allowed to sell to General Motors’ Frigidaire division for patent-related reasons. For his research, he had obtained a supply of tetrafluoroethylene (TFE), which was used as refrigerator coolant. He stored it in small pressurized gas cylinders at low temperatures. When he was ready to use the gas after a fairly long storage period, none was left in the container. But its weight was unchanged. After it was opened, there were white crumbs inside and the inner walls of the container were covered with a thin layer. Plunkett quickly realized that the TFE gas had been polymerized into a plastic. This new plastic, PTFE, proved to be completely resistant to chemical exposure. Not even aqua regia¹ could harm it in any way. But its production was so costly that practical uses seemed inconceivable. There are many factors to be considered when choosing the right type of hose for your application. There are many different types of hose available on the market. They include metal, rubber, composite, PTFE and fabric. The decision of which hose type to buy depends on the application for which the hose is being used. Metal hose is ideal for absorbing vibration, misalignment correction, thermal expansion or contraction of piping systems, and protecting equipment from excess motion. Typically, metal hose is used when no other (non-metallic) constructed hose will work. In other words, metal hose is used as a last resort. In our latest video, Gallagher Fluid Seals Engineering Manager Craig Beil discusses the various PTFE fillers used in making seal materials. Fillers include carbon, glass, stainless steel and molybdenum disulfide. 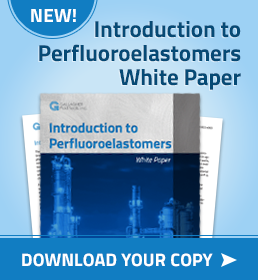 Watch the video to learn more about what PTFE fillers can do, and be sure to watch the other videos in our series. Past videos have explored issues such as radial seal misalignment, the use of spring energized seals and environmentally-designed static seal gaskets. We hope you can find something useful in each one. Today we’ll continue our look at spring-energized seals by exploring some of the preliminary considerations to made when working with these seals. A spring energized PTFE seal is selected to fit an exact set of service conditions found in your application. 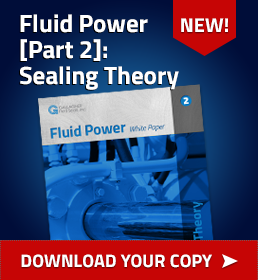 Gallagher Fluid Seals recommends conducting a review of the entire sealing environment. 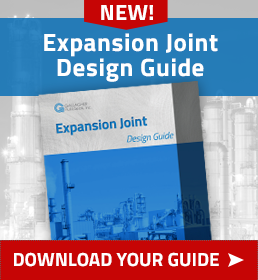 You should use the Engineering Action Request (EAR) form before selecting a seal design.